A consortium made up of the Carroll Group and Sovini Property Services has successfully secured an asset management contract worth over £317m. 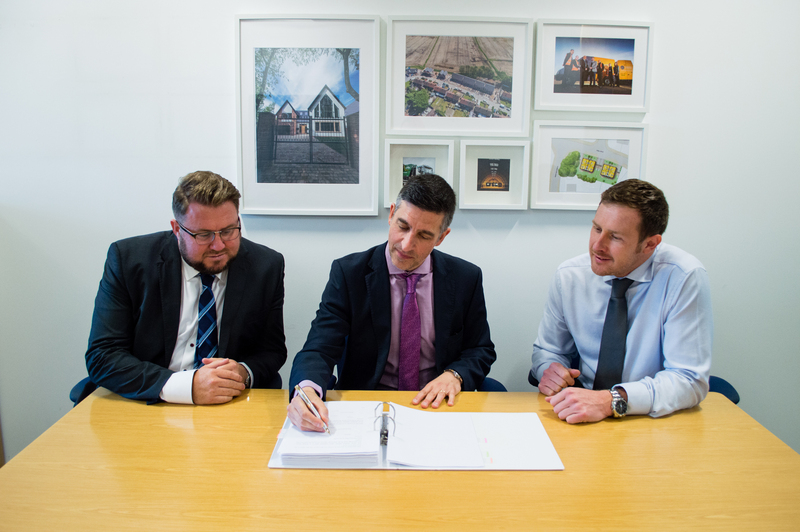 The consortium will deliver integrated asset management for Merseyside-based One Vision Housing and Pine Court Housing Association over a 10-year period. Carroll Group, which incorporates Carroll Build, Carroll Waste and Amianto Services, will deliver various elements of the contract including new-build, refurbishment and waste management. Carroll Group and Sovini Property Services won the contract through OJEU (Official Journal of the European Union), a European procurement database designed to ensure fairness and transparency in tender processes. The consortium’s track record in delivering excellent services, consistently achieving high levels of customer satisfaction and a commitment to social value, were among the key factors in securing the contract. Pictured, from right to left: Steven Parker, Director of Sovini Property Services; Terry Carroll, Managing Director of Carroll Group and Arturo Gulla. Director of Asset Management at One Vision Housing.